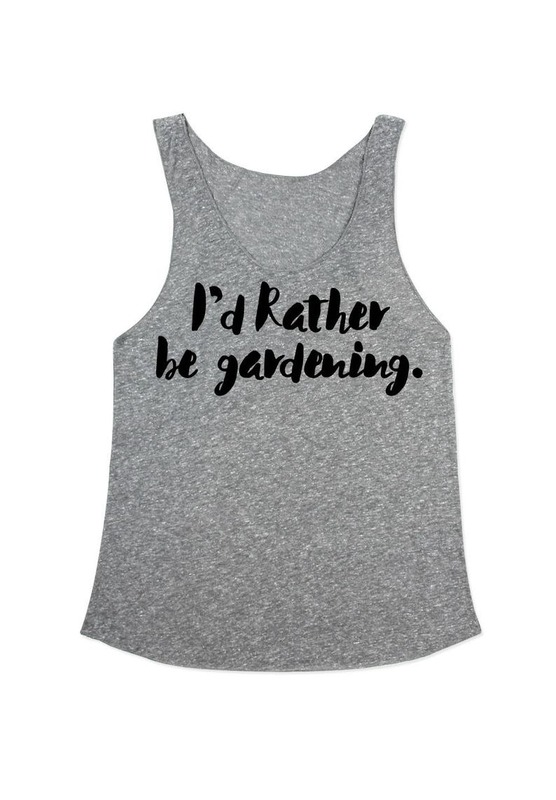 Id rather be gardening tank top. Womens heather racerback gardening tank top with Id rather be gardening print. Hand printed screen print for a nature lover. 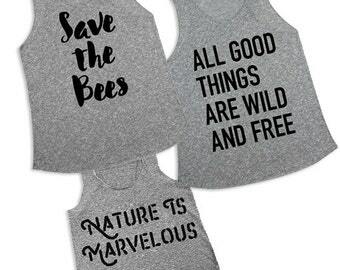 Printed on sweatshop free ethically produced tank top. Clothing usually shipped in eco-friendly recycled packaging. We'll happily take an exchange if you need to exchange it for another size. Please see the size chart by clicking/sliding the product image. visit www.hypercloth.com and join the mailing list for exclusive sales, discounts and the newest designs. Your order has been FULLY REFUNDED. Im sorry about the error. thank you. Love the shirt. Thanks for offering. Credit cards and Paypal are accepted. Payment must be received and cleared within two business days of the purchase date. Sales will be canceled if payment is not received within three business days of the purchase. Contact me if you have any problems with your payment or if you have any questions. I want you to love your experience with Hypercloth. If you are not completely satisfied, please contact me so we can work something out. NO REFUNDS DUE TO PACKAGES LOST IN MAIL: Packages lost in the mail are VERY RARE and not our fault. All items are sent to the address you provide. Please request shipping insurance or signature confirmation if needed. Additional charges apply. NO REFUNDS DUE TO CUSTOMS CHARGES incurred in international shipping. We are not responsible for customs delays or customs charges for international shipping. EXCHANGES POLICY: Most exchanges are due to size. Any exchanges must be sent back within 14 days of receiving the item with all the original contents of the package. Exchanges take up to 4 weeks to process and reship (up to 6 weeks for international). PLEASE NOTE: Any exchange items that have any obvious sign of wear, pet hair, perfume, spots or smells will be denied and will immediately be shipped back and you will be billed for shipping through Paypal. All orders will be processed and can not be cancelled due to our process and will be shipped to the address you provide at the time of your purchase, so please be sure to use your current correct address. Domestic orders usually ship out within 2-7 business days of cleared payment. Domestic shipping time varies from 2-5 business days from the day its shipped. International orders usually ship out within 2-7 business days. International shipping time varies from 2-3 weeks. Due to customs international orders can occasionally be delayed an additional 1-2 weeks in customs. I ship via USPS. Please let me know if want upgrade shipping to priority, add insurance or receive delivery confirmation. Additional charges for those services will apply and will be billed through Paypal. We usually ship individual shirts in eco-friendly bio degradable or recycled mailers that are made in the USA. Reused packaging is occasionally used to reduce waste.